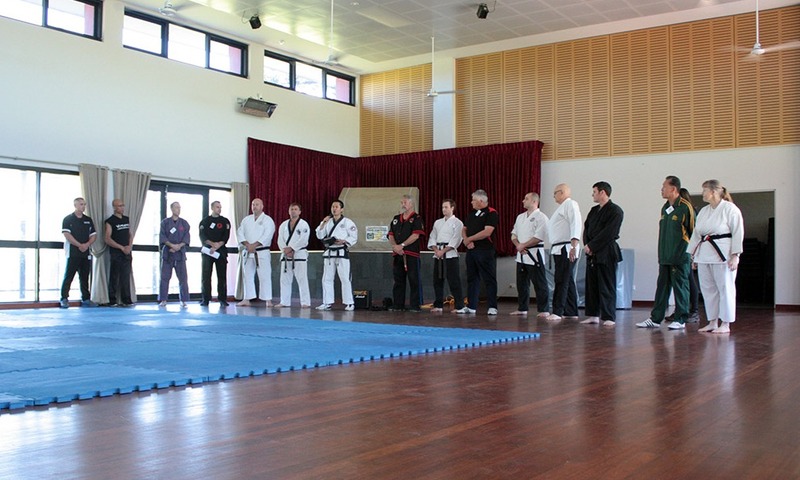 On 12th of September 2002, Rayners Lane Taekwon-do Academy instructor, Stuart Anslow, put forth a realization of an idea he’d mulled around with for a long time. He put the first stone down to establish the I.A.O.M.A.S (International Alliance Of Martial Arts Schools). He contacted a few International friends involved in teaching martial arts & they came on board as well and the England IAOMAS site was established. First to join up & now definitely considered a co-founder was Tim Posynick from Canada who works tirelessly on IAOMAS (Canada & International items). A little while later David Melton had established a US Country Page, followed by Piotr Bernat from Poland, Ger Healy & Philip Fox from Ireland & Christian Hell from Germany. The IAOMAS has grown from its humble beginnings, after the England site was founded, Canada followed on quickly, founded by Tim Posynick, it now has an amazing 76 schools involved, England has 38 by the way, Canada was closely followed by the USA (Dave Melton) with further country sites founded in Australia (Glen Doecke), Belgium (Peter Vermeeren), Denmark (Annie Lysebjerg), Germany (Christian Hell), Holland, Ireland (Phillip Fox & Ger Healy), New Zealand (John Burton), Nigeria (Sunday Igbinedion), Poland (Piotr Bernart), Scotland (Robert Bass), Spain, Thailand (Gabriel Chin) & Wales (Neil Muirhead), with new country sites being founded soon in, Brazil & Malta. Each ‘Country Site’ have numerous schools, in fact at the last count (some months ago) the IAOMAS was fast approaching 300 schools worldwide. Schools are also aligned from Austria, Argentina, Brazil, Cyprus, Estonia, Malta, Morrocco, India, Iran, Isle Of Man, Pakistan, Phillipines, Georgia (former Russia), Saudi Arabia, Singapore, South Africa & Sri Lanka. The IAOMAS really is Worldwide! What is even more amazing is this unity was brought forth without any costs to Instructors or students, without any political problems, because no-one has to leave their present associations. The amount of co-operation on such a vast world-wide stage I don’t think has ever been realized & even if it has, never so quickly, this truly is a new era for martial arts! Virtually every style is covered somewhere & hopefully one day every country will be covered as well. The IAOMAS has its own forum, with instructors & students around the world discussing all manner of martial arts related subjects, from competitions to training & pattern/ kata applications to tuition billing services to self defense courses for OAP`s, all with openness & a willingness to help, such a wealth of knowledge in one place is reason alone to be part of the IAOMAS. IAOMAS members have now got special discounts in certain stores like Sai Martial Arts, with other members freely helping with web site optimization & other issues. All this has been achieve free, with no charge to instructors or students, which is one of the main aims of the IAOMAS. Discussions have taken place to hold IAOMAS tournaments on national & international levels, plus very soon IAOMAS seminars are due to take place in the UK & the USA.